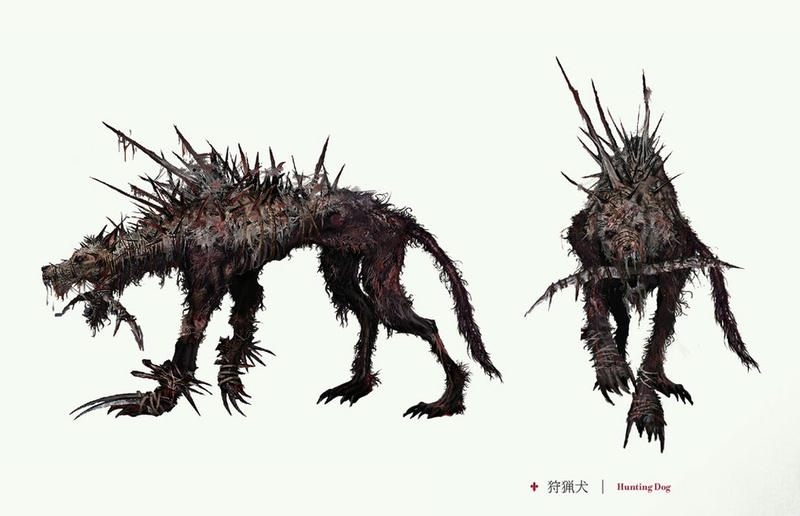 At first glance, these walking pincushions are very similar to the Rabid Dogs found in other areas, but they've learned a few new tricks. 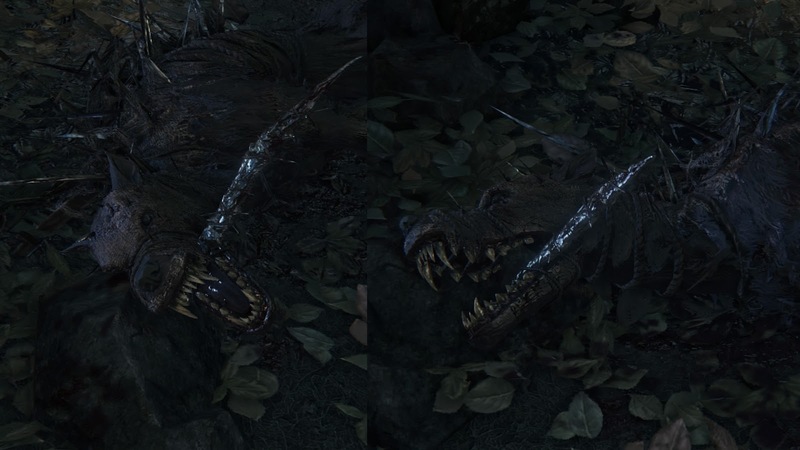 In addition to the lunging bites and swift dodges used by other dogs, Hunting Dogs will also slash at you with the spurs attached to their forelegs, and the wide crescent blades in their mouths can easily catch you if you try to quickstep past them during their attacks. 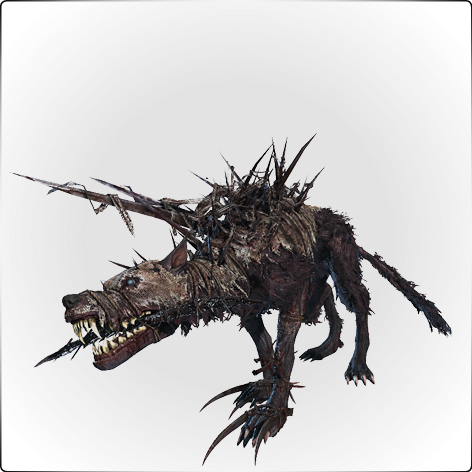 They're very good at evading melee attacks, but have low health and are vulnerable to Molotovs if you can manage to hit them with one. Like Rabid Dogs, shooting these enemies with a pistol or scattergun will send them flying, knocking them out of their attacks and allowing you to finish them with an R1 chain as they stand up. The safest and easiest way to deal with these agile creatures is to knock them down with a pistol shot or a scattergun blast, then quickstep toward them and attack with a couple of quick R1 swings before they finish recovering. 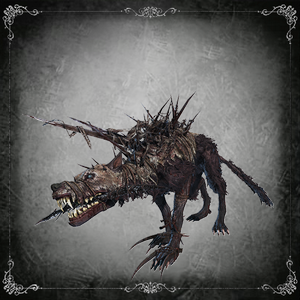 Blunderbusses in particular are useful for dealing with groups of Hunting Dogs due to their ability to knock down several of these enemies at once. They will usually dodge Molotovs or Throwing Knives, but gunshots tend to be too quick for them to evade. When they lunge at you, quickstep sideways and counterattack with an R1 combo, though beware that they will sometimes leap away from you immediately after attacking. You can use Pungent Blood Cocktails either defensively to distract them while you escape, or offensively to group them together and hit several at once with Molotovs.